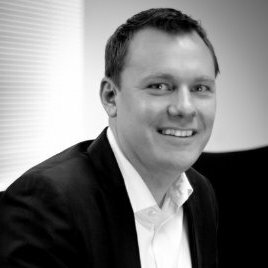 St. Louis, November 1, 2016 – KellyMitchell Group, Inc. (KellyMitchell), a national provider of IT, Engineering, and Digital Creative workforce solutions, announced today that Blaise Bussell has joined the company as Senior Vice President of Field Operations, effective October 1st. New SVP, Bussell has deep experience in the staffing industry and a successful track record leading teams at both Apex Systems and Kforce. Most recently, Bussell served as Region President, Northwest of Kforce responsible for leading a team across six geographies and fourteen business units. “We couldn’t be more excited as an organization to welcome a new, pivotal leader to our executive team. Blaise’s passion and leadership will enhance our already developed delivery model, drive our innovative use of technology and analytics, and take advantage of the strong demand for talent in the marketplace,” shared KellyMitchell CEO, Cassandra Sanford. “I am thrilled to be a part of the KellyMitchell team and eager to utilize my industry expertise to leverage KellyMitchell’s recruitment engine, as well as scale the field operations to the next level of success,” shared Bussell. KellyMitchell was founded in 1998 in St. Louis, Missouri where it maintains its corporate headquarters. For nearly two decades, the KM team has developed a vast Fortune 500 client base employing thousands of consultants and has scaled its operations to provide staffing solutions coast-to-coast out of its 16 service locations.